What makes a Professional Real Estate Agent a REALTOR®? To be a REALTOR®, a person must have a license to practice the sale of real estate from the state in which they are selling, plus they have joined and agreed to the code of ethics defined by the National Association of REALTORS® (NAR). Marilee Murphy sa member of the NAR as well as the Northern Virginia Association of REALTORS® (NVAR), the Dulles Area Association of REALTORS® (DAAR) and the Multiple Listing Service. Homes today cost hundreds of thousands to millions of dollars and that means, for most people, buying a home is the single biggest purchase of their lives. Adding to that, the average person only goes through the home-buying process four or five times in their lifetime and there’s a lot at stake for a novice. An experienced REALTOR® buys homes for a living and is involved in the process every single day. Professional REALTORS® have the latest information about the communities, towns and counties and they are professional negotiators. A more interesting question might be, “With everything that is at stake, why wouldn’t I want to hire a REALTOR®?” Marilee Murphy is a professional REALTOR® who will guide you through the process of buying a home in today’s real estate market. Do I need a REALTOR® if I’m buying a new home from a builder? Would you go to court without a legal representative and let the representative from the other side handle your case for you? That’s exactly what you are doing if you buy a home from a builder without a REALTOR®. No matter how friendly the sale consultant, that consultant works for the builder and is paid to sell homes with terms favorable to the builder. You need a REALTOR® on your side with the experience and know-how who will fight for terms that are favorable to you. Marilee Murphy will be with you every step of the way, from the day you first talk to the builder, through the inspections and closing and continue with you to help with any after closing issues. Many think that the first step is to look for a house and establish financing after something has been found. Unfortunately, what happens many times is that the Buyer looks outside their range of affordability and is faced with disappointment after it is determined their dream home is out of reach. The disappointment is magnified when buyers are then shown homes within the affordable range and the homes in the new range do not offer the same level of sophistication as those seen before. Understanding your financial position up front will simplify your search and make for a much more rewarding buying experience. The best way to discover your price range is to talk to a financial lending expert. These experts will gather information about your income and expenses and help you find the “right” program and monthly payment for you. You can choose any lender you’d like and you might want to talk to more than one so you can compare costs and services offered. Marilee Murphy can provide you with references to lenders if you need them. Now that you know your price range you need to decide when, where and what you are going to buy. This might sound easy but often times it is not. Marilee will consult with you to help you determine what is really important to you. This will help you to define your search and save you time. If you are new to home buying or if it been a while since you purchased your last home, Marilee will educate you on the process. That way you will be prepared and understand each step along the way and have confidence that everything is going as planned. Now comes the fun part. Advances in technology have made searching for a home much easier the ever before. The World Wide Web provides a fantastic showcase of homes for sale allowing you to see more homes in less time. Most homes listed today not only have technical descriptions, they have numerous photos, interactive virtual tours and floorplans. You have the opportunity to preview all homes on the market and decide which have the most potential for you. The first step is to search the MLS for homes that match your criteria. Marilee Murphy will do this search for you and send you all matching listings. When you are ready to see the homes, Marilee will make all of the necessary arrangements and schedule an appointment when they can take you on a tour of the homes. Because Marilee will do a lot of the roadwork you will save a significant amount of time and only see homes with potential. Marilee is also very familiar with the new home developments in the area and will also send you information on those developments that might be of interest to you. Marilee will highly recommend that you use a REALTOR® when buying a newly constructed home. Without an agent you are putting yourself at a significant disadvantage since all builder contracts are designed to favor the builder and it is the sales consultant’s job to keep it that way. Plus, a professional REALTOR® will have insight into the surrounding area and be able to help evaluate planned changes that might affect the property value. You may also register to have information automatically emailed to you when new listings become available. That way you will have confidence that you have seen everything that is available and be able to be one of the first to take action when your dream home becomes available. When you have found a home that you would like to buy it is time to submit an offer. You will want to make an offer that is competitive and appropriate to the market and value of the home with terms that will work for you. Marilee and Brian Murphy will help you evaluate and compare other homes that have been sold recently in the community and determine a solid offering price and will help you determine other terms of value that should be part of your offer. Remember, Marilee Murphy is a professional negotiator and she will work hard to get you the best deal possible. Once terms have been agreed upon by both sides of the transaction the offer becomes a contract between you and Seller. From this point on everything is about executing on the terms of the contract and it will take between 14 and 60 days to reach settlement, depending on the terms of the contract. During the period between ratification and settlement your job is to establish and prepare your financing. This means working with your lender and getting all of the necessary documentation submitted in a timely manner. Marilee will manage the contract details and insure that all stated deadlines are met by both sides and will coordinate all inspections. Home, Radon and Termite are some of the types of inspections that will be done on the home to insure that everything is in proper order before the sale is complete. This way there are little or no surprises for you after settlement. All inspections are completed by Licensed Professional Inspectors and issues are negotiated and added to the contract. Marilee Murphy will arrange and schedule all inspections, accompany you during the home inspection, help you to evaluate inspection results and negotiate for you any changes that need to be made to the contract based on the inspection results. The day has finally arrived and you are ready to complete the purchase of the home. This process is called Settlement or Closing and will take place at a Title Company that was decided upon during the negotiation of the contract. 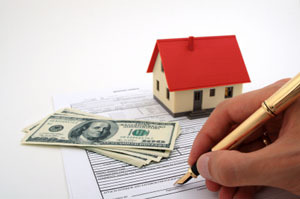 In most cases the settlement occurs with both you and Sellers sitting at a table to sign off on the transaction. An Attorney of the Title Company oversees the exchange and remains an impartial mediator should any last minute issues arise in regards to the contract. Once all of the paperwork has been signed the seller hands over the keys and you are the new owner. Before settlement, Marilee Murphy will review the HUD 1 to insure that it is correct to the terms of the contract and that you are accurately represented. She will also attend the settlement with you and insure that everything continues as planned and help in any last minute negotiation. After the sale is complete many agents just move on to the next client. Marilee Murphy will stay in touch and insure that everything continues to go well. If you have any trouble with the house or need any service for which she can help, she will want you to contact her. Many times their clients need referrals to other service providers such as painters, flooring companies and contractors. Marilee Murphy use many different service providers throughout the course of business and can provide you with contact information for those with which they have had good experiences.